An accomplished novel from a talented writer, Letters to the Lost is a stunning, emotional love story. 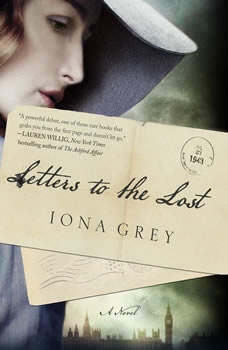 Iona Grey's prose is warm, evocative, and immediately engaging; her characters become so real you can't bear to let them go. In London 1942, Stella meets Dan, a US airman, quite by accident, but there is no denying the impossible, unstoppable attraction that draws them together. Dan is a B-17 pilot flying his bomber into Europe from a British airbase; his odds of survival are one in five. In the midst of such uncertainty, the one thing they hold onto is the letters they write to each other. Fate is unkind and they are separated by decades and continents. In the present, Jess becomes determined to find out what happened to them. Her hopea€”inspired by a love so powerful it spans a lifetimea€”will lead her to find a startling redemption in her own life in this powerfully moving novel.